Another Round of Showers and Thunderstorms on the Way. SAN ANGELO, TX -- Thunderstorms with heavy rainfall are expected across West Texas this afternoon and tonight. 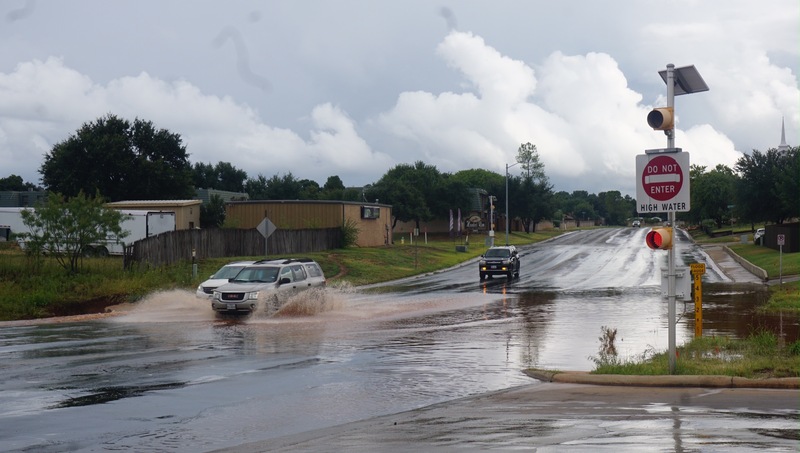 According to the National Weather Service, scattered showers and thunderstorms from 15 miles south of Mertzon to Eldorado to Menard to Brady to Richland Springs...were nearly stationary at 3:00 p.m. Thursday afternoon. Gusty winds to 40 mph and rainfall amounts of 1/4 to 1/2 inch are likely, with locally heavy amounts to 1 inch possible this afternoon. Dangerous lightning and gusty winds could accompany some of the storms this afternoon and evening. In addition, heavy rainfall will be possible and may result in localized flooding, especially in urban and low lying areas. Scattered to numerous showers and thunderstorms will affect West Central Texas Friday through Monday, with heavy rainfall the main concern. The heavy rainfall may result in flooding, especially of low lying areas, roadways, and low water crossings.